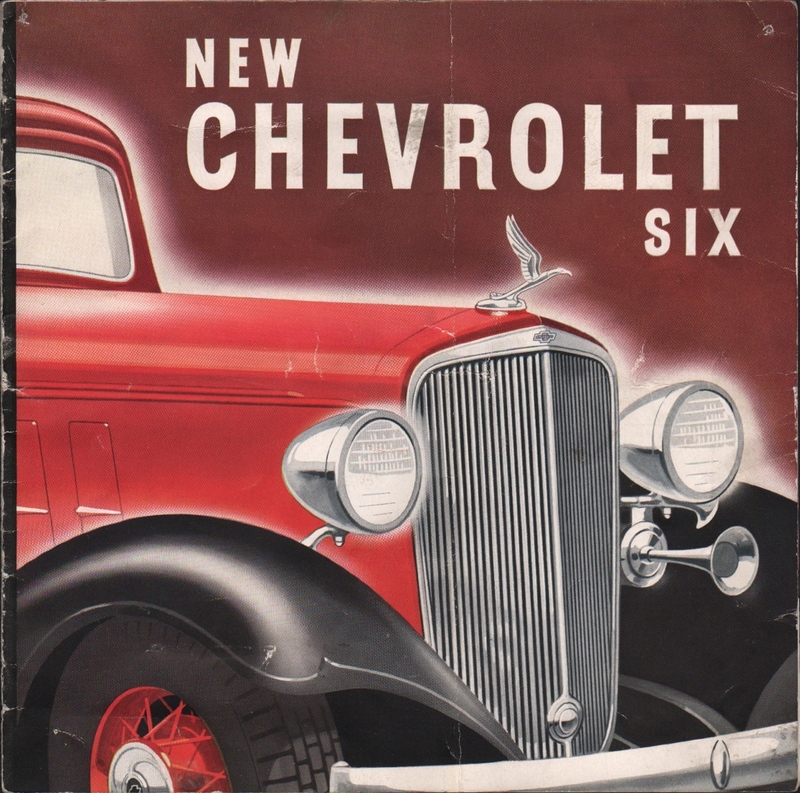 Original sales brochure for the 1933 Chevrolet Six Sedan, Coach, Coupe, Cabriolet, Sport Coupe, Sport Roadster, and Phaeton. The date in the back is printed as Dec 1932. The new features are listed as: longer wheelbase, larger lower Fisher bodies, new "aer-stream" styling, Fisher no-draft ventilation, shatterproof glass in windshield, more powerful six-cylinder engine, cushion-balanced engine for smoothest operation, even greater economy, improved free wheeling, syncro-mesh shift with silent second, and the "Starterator" for simplified starting.